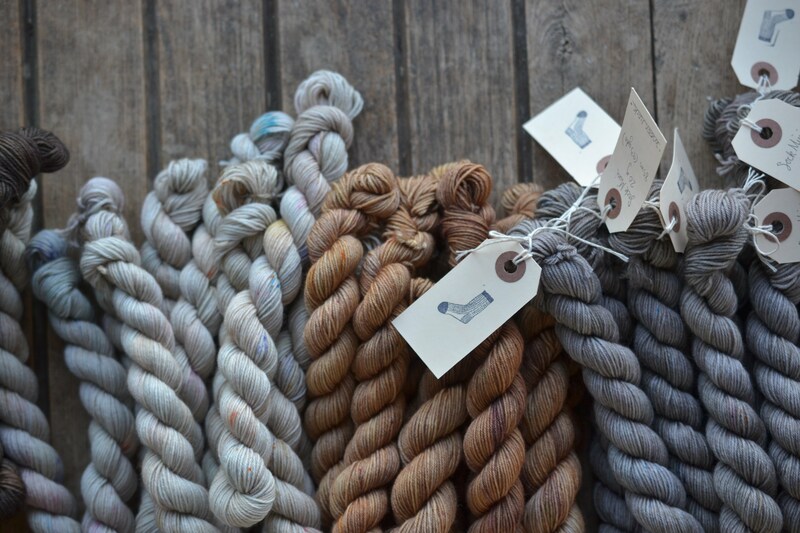 Emily Foden of Viola Yarns has created a world full of beauty and whimsy. There is a nostalgia to her color palette that gently invites us to delve into memories of playing outdoors as a child… for me, it feels reminiscent of the changing of the seasons. 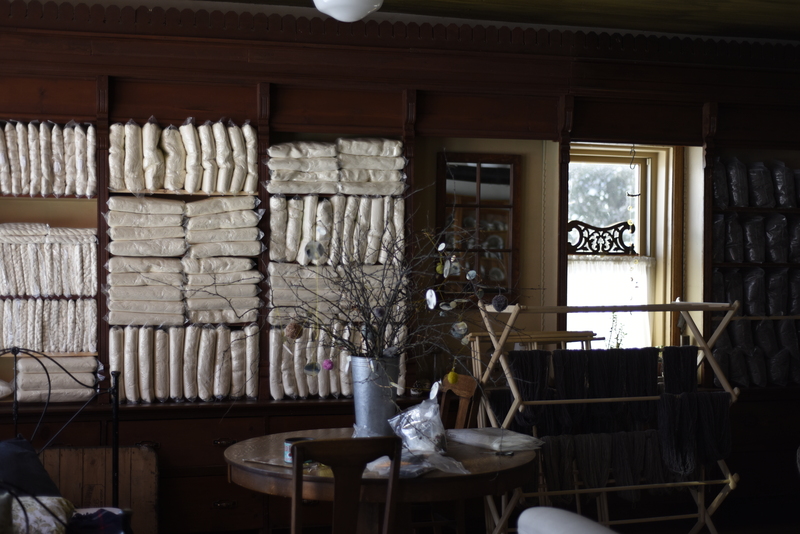 Based in Moorseburg, Ontario, Emily lives and works in a ‘creaky old general store’ surrounded by plenty of open land to explore and gather inspiration from. In the article written for Laine you mention that Viola grew organically over the last ten years, with plenty of happenstance. I used to live in a vibrant small-town community that sounds very similar to where you now live and work in Mooresburg, Ontario. How does where you live currently inform this chapter of Viola? Life in Mooresburg has been a positive influence, and source of support, more far reaching that I could have hoped for. When I moved here, I was still settling into life in Canada and picking up Viola again after a 3 year break. It was a tumultuous and often confusing time of feeling pulled in too many opposing directions. I instantly found the landscape, the fresh air and wildlife to be a soothing, reassuring and grounding presence, and still enjoy it every day. A more unexpected source of inspiration for me has been the people here. Having grown up in a big city, I had never witnessed a lifestyle that is so connected to the seasons and earth (clearly I did not do enough gardening!) From tapping Maple Trees to sewing seeds, making pickles, shearing sheep, collecting honey or harvesting grain, it’s not only the farmers who have a connection to the earth, but everyone in the community. Everyone here has chosen this lifestyle, and a slower pace of life. While I often feel as though I have a toe in both worlds; the slow and quiet country life of Mooresburg and the bustling world created by the internet, checking in with my quiet surroundings keeps me focused, and reminds me of my goals and priorities. My hope for Viola is that she will always remain small, sincere and creative, and I believe that Mooresburg is the right place for that to happen. Many of us have been told that creativity is a luxury separate from hard work, but growing businesses such as Viola are proving otherwise. Can you speak more to your realization that “creativity and hard work can be one and the same”, and how you maintain the balance between the two? True, I’ve been told the same thing many times. Everyone works differently, and creates differently, but I believe that we all could benefit from more hard work in our creative practices. For me, the first obstacle to creativity is making the time, which is actually part of the ‘work’ I mentioned. I’ve found that all I have to do is commit the time to practice and experiment. If I find myself stuck on a colour way, or struggling to draw/paint/stitch something, I need to return to it over and over in what is really a process of trial and error. It sounds pretty dull, but it’s the best way for me to bring an idea to life. It is also in these, sometimes repetitive or tedious tasks that my mind relaxes and I see clearly what I’m trying to create or how best to achieve it. I’m not talking about drilling yourself on techniques, but rather taking the time to explore all options rather than the first one that comes to mind. I make great discoveries this way, create better and more fulfilling work and feel more inspired to continue. My goal is to put in the work, especially when I don’t know where it will lead. You also dapple in projects in other mediums — what else do you enjoy? It’s often a long and almost overwhelming list. 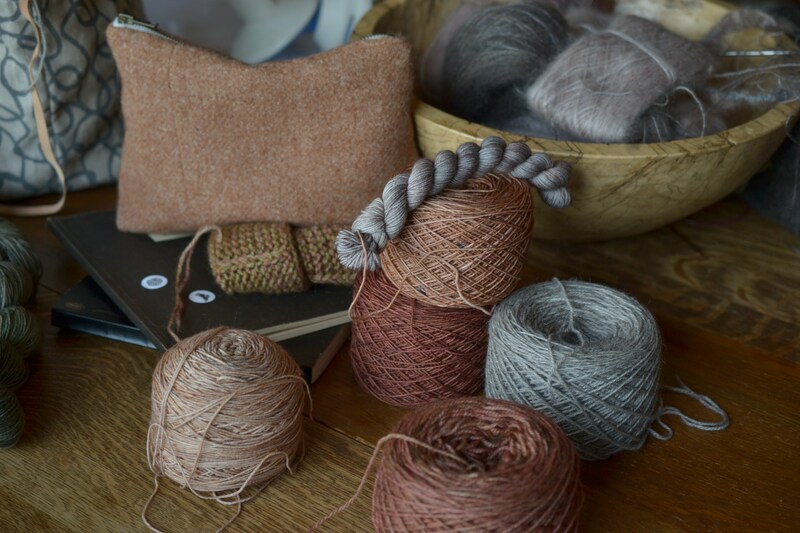 My main creative pursuits outside of dyeing yarn are almost all visual/textural and include weaving, drawing, photography, painting, collecting sticks and stones (which I find very useful and fulfilling), cooking hiking and yoga. I hope for more time to devote to all of these practices in the future, but for now I enjoy little snippets here and there, when I can. I find that each informs the other, helps me work through dyeing ideas. I have never been able to pass by a beautiful colour on a rock, or patch of light in a forest and so love to experience and document them in any way that I can. Lastly, what is your spirit’s favorite color way? Certainly the most difficult question so far. 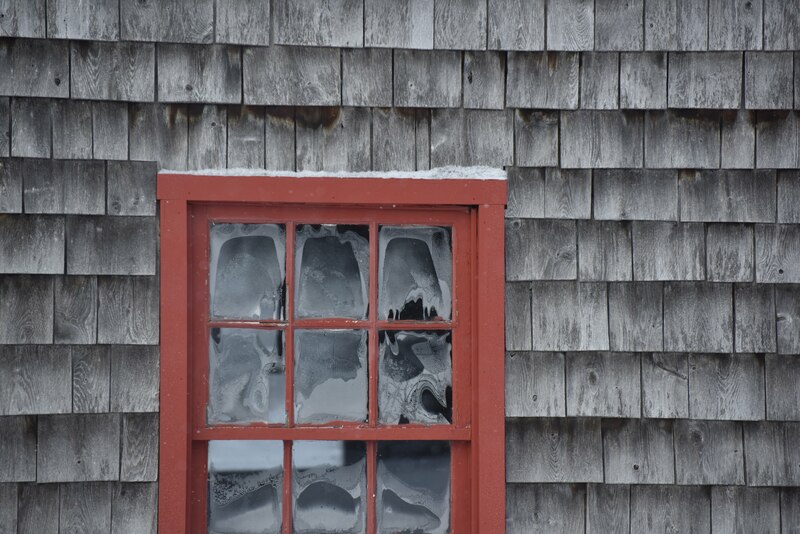 I’m tempted to say every colour, because it’s the reflections of colour that I’m most drawn to, in mist or snow. If I really had to choose, it would be a very dark and cold brown. I’ve often confused people with this answer, but I just love the colours to be found in dark earth or wet tree bark. To be honest, I’ve tried to capture this colour on yarn many times, and not been satisfied yet. 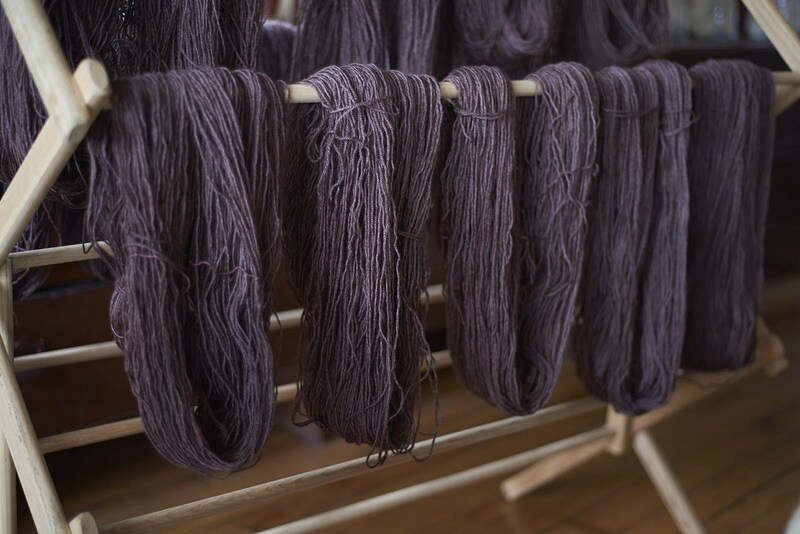 A colour way called Peat came closest, but has been very difficult to perfect. Guess I’ll just have to keep working at it. 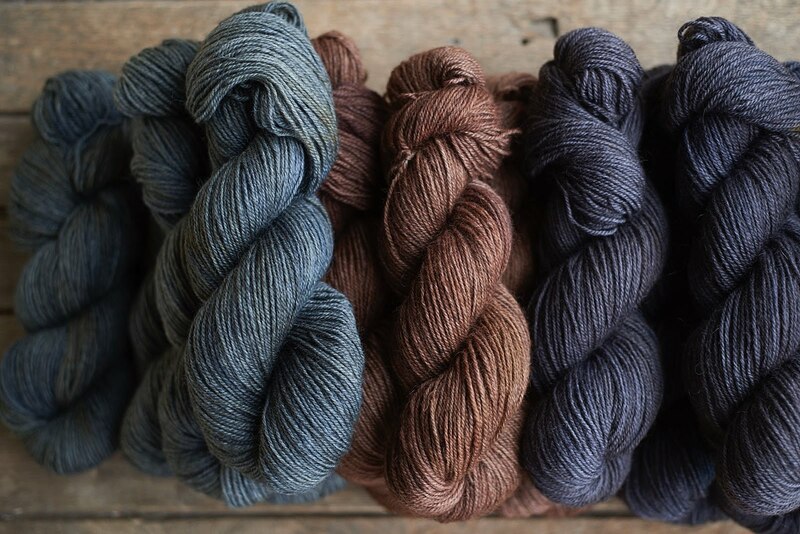 Emily has also generously given us three gorgeous skeins of her Polwarth + Alpaca yarn to give away on Instagram + Facebook (the perfect amount for the Brae Cove Tunic KAL!) — so don’t miss out! All photos credit to Emily Foden of Viola Yarns. Find out more about Viola Yarns on her website, Instagram, and on Ravelry.